The Dallas Cowboys’ offensive one-two punch didn’t get to work together during OTAs, but Tony Romo is planning on fixing that soon. 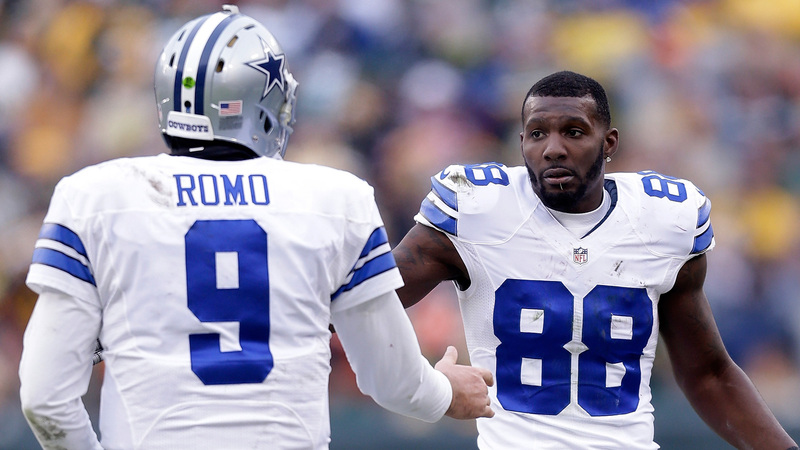 Dallas’ Pro Bowl quarterback is working on setting aside some time with star wideout Dez Bryant before training camp starts in July. Bryant has been held out of team drills this offseason while he recovers from foot surgery in January. "There’s a schedule in place," Romo said Thursday, via ESPN. "We’re going to be out there. And he needs to just run routes and simulate two-minute [offense]. You’ve got to do these little things that emulate practice and games. And the only way to do that is to get out on the football field and go do it. But despite the lack of time together, Romo doesn’t sound too concerned about getting back in tune with his No. 1 target. "Once you get to camp, it will take just a little bit of time to get the other stuff back. But he’s played the game long enough that it won’t take him much time. We just need him healthy. And when he’s healthy, that stuff comes very fast."